Wallpaper mural designer wallpaper for your room will take a little effort but taking your time is worthwhile, mural wallpaper needn't be expensive but the time to apply it and decorate is well worth it! You will need to choose a decorator who can apply the type of paper. Wallpapers for bedrooms, dining rooms, children's rooms, living rooms, commercial wallpaper and designer wallpaper can be purchased from a wide range of suppliers and you can buy wallpaper easily online. 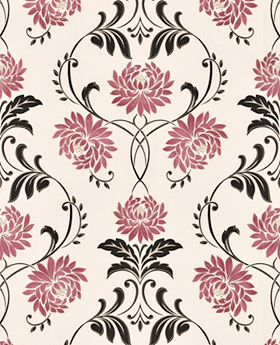 See our list of online wallpaper shops>. We hope that you will find this guide useful, so do read on. Accurately measuring the walls for your wallpaper is important. If you don't buy enough wallpaper in the first place then they may not have the correct wallpaper batch number when you return for more! Measure the length of each wall, measure the height of each wall. Take into account windows, doors, fireplaces and any additional boxing or returns in the wall. Standard Wallpaper usually comes in 50cm wide rolls but can vary. A roll is usually 10 metres long but this can vary. 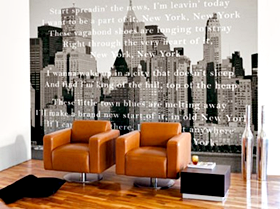 There are hundreds of modern contemporary and vintage mural and wallpaper designs on the market. Flocks wallpapers, forest wallpaper, vintage, modern, black, red, William Morris, shiny metallic wallpapers, matt, floral wallpapers, country patterned, geometric, stripes, sports, children's wallpapers, sophisticated wallpapers, damask wallpapers, wallpaper murals for walls and striped wallpapers to name but a few. Collect ideas, send for samples, place them next to the large furniture items in the room and a large sample of your intended paint colour. 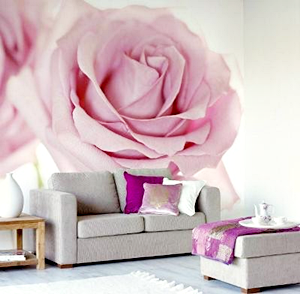 Look at the wallpapers in different natural lights and with your room lighting on. Take time to absorb the different wallpaper options before making a decision. Choose a mural, wall sticker or wallpaper which will complement your room, your personality and your varied moods for the room. A dining room might take a more flamboyant style than a small sitting room because there is likely to be less furniture in there. When eating you wont mind being surrounded by a larger brighter pattern - but in a relaxing room you may prefer a gently pattern with the colours of nature more evident. Keep in mind that whichever wallpaper you choose, you will want to live with it for a number if years! 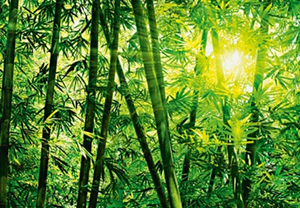 There are now hundreds of online outlets for wallpapers. You can also buy from high street wallpaper shops, large DIY centres such as B&Q, supermarkets, chain stores and decorators centres. Everywhere you seem to look the retail industry is getting into homewares and decorations. You can find bargains in DIY centres and collect samples to take home. Online wallpaper suppliers can bring a wider range of wallpapers and designer wallpapers to you and give value for money and fast wallpaper deliveries. Check out some of the options in the table below.